The following post originally appeared at MarketWatch. In my last post I made the point that there is no reason to extrapolate that the market is going higher or lower simply because it is approaching all time highs. My plan is to look at several indicators that do matter, and see if we can find solid reasoning for the market to continue its advance or correct. While I had planned on this being a fairly optimistic post, one development over the past week has the potential to be signaling imminent trouble in the equity markets. Below is a graph of JNK, the SPDR High Yield Bond Index ETF. 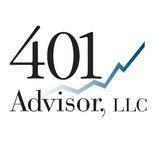 I follow this closely as it makes up a large percent of our Dividend Plus strategies. As you can see since June of last year it has formed a nice upward trend. The yellow line is its 30 day moving average (SMA), the average price over the past 30 days. The graph shows that not only has JNK been moving up, but it has been doing so with a fairly low level of volatility as its price has meandered around the 30 day SMA. Just looking at this chart, the recent downtrend is not worrisome, as it is still within its 8 month uptrend. However, if we look at the next chart we see a reason for concern. The red and green line is JNK again, but this time I’ve added SPY, the SPDR’s S&P 500 Index ETF. 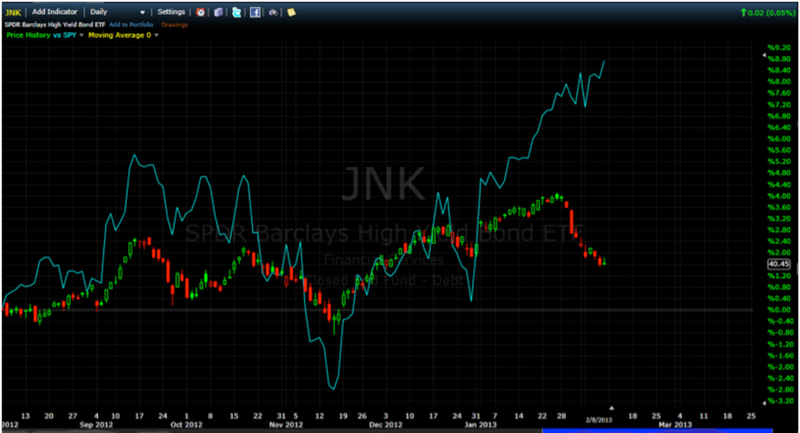 While SPY is much more volatile than JNK, in general they do move in the same direction. Until about two weeks ago. 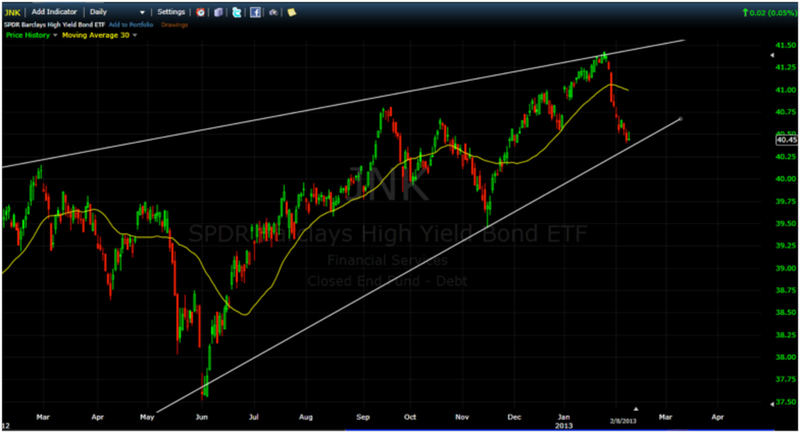 SPY has continued to rally, while JNK has turned decidedly negative. While in the short run it would not be uncommon to see a divergence, in the longer term JNK and SPY will trend in the same direction. Meaning that over this coming week I’d expect either SPY to start following JNK down, or JNK to reverse and start to rally back up to the top of its trend channel. Fundamentally, JNK is an index of lower quality corporate bonds. In a softening economy companies are less likely to be able to make interest payments on their debt and JNK will go down. In a strengthening economy JNK will tend to rise, as even lower quality companies will obviously perform better in an improving economy. What we have seen over the past few weeks is that corporate earnings have come in and have been slightly better than expected. More importantly most companies have been giving pretty solid guidance s to their expectations for earnings in 2013. This should be an ideal environment for JNK. The question I will be trying to answer this week is whether investors in high yield bonds are seeing something that stock investors have so far ignored, or has the two week sell off just been a natural short term correction? If so I expect a rally in JNK. If not, we will look to sell JNK and sit in cash until the markets sort themselves out.